The Choctaws of Dyer County High School have an enrollment of approximately 1009 students and is a 4A school in the city of Newburn, Tennessee. 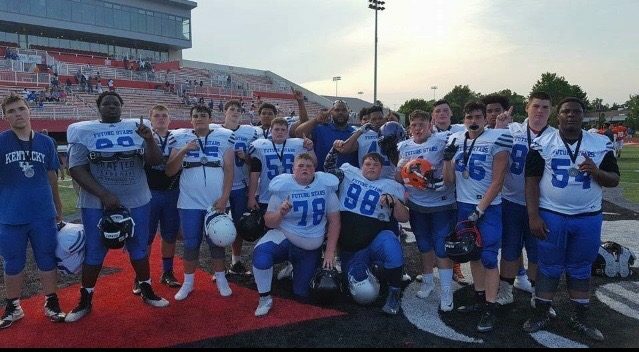 Dyer County is 2-3 having victories over Obion County and Ripley while dropping contests to Crocket County, Henry County, and Clarksville NorthEast. Their losses this year have been multi-score drubbings including losing by 22 to NorthEast and losing 55-7 to the Patriots from Paris, Tennessee. It would appear, from the worksheet thus far completed, that the Choctaws only close contest this season would be the 35-27 victory it enjoyed over the men from Troy (Obion County) on the road. Last Friday night, the Choctaws traveled to Clarksville, Tennessee and ran into a very inhospitable group of Eagles. It may not be entirely kind, but rather apropos, to say that the best thing going for Dyer County High School is its splendid Cheer squad. The co-ed Cheer squad has won State Championships in 2011-12, 2012-13, 2013-14, and 2014-15. The Cheer Team were also the 2012-13, 2013-14, and 2014-15 UCA National High School Cheerleading Co-ed Champions. Oh yeah, they also have very nice botanical gardens right on campus. 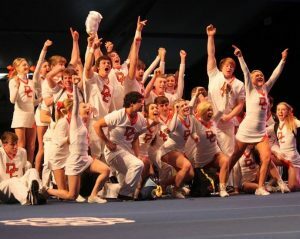 By the way, the photograph to the immediate left of the Cheer Squad is credited to WBBJ-TV. The Clarksville Wildcats are also 2-3 and have prevailed over a Rossview Hawk Squad in the season opener 15-13. Rossview is a Class 6A Tennessee football team who, since losing to Clarksville, has looked quite good and appears to have turned the corner. I know Clarksville fans are none too happy to hear that. Since opening with the Wildcats and losing 15-13, Rossview has dropped a relatively tight game in the Jerry Claiborne Bowl to the No. 4 ranked team in Kentucky’s 5A Classification (Christian County) before reeling off consecutive wins against Wilson Central, NorthEast, and Station Camp. The Wildcats, since the Rossview game, dropped consecutive games to Springfield and Lewisburg (Olive Branch, MS). On September 8, however, the Wildcats drubbed Nashville’s Hillwood High School 42-6 before traveling to Henry County (Paris, Tennessee) and losing 49-27 in a game which was closer for much of the night than the final would indicate. Of course Hillwood’s only win this year was against hapless Portland (Sorry Coach Cavanaugh), so I don’t know, necessarily, what that means. The two teams have played one common opponent, though Clarksville High School has NorthEast still to come. In the one common opponent, with both Dyer County and Clarksville playing the two games in Paris, Tennessee, Dyer County lost 55-7 and was never in the game from the first kick and Clarksville High School lost 49-27 and was in the game up until the 4th quarter. Admittedly, analyzing common opponents is the sorriest way to determine who will win a ballgame. In fact, the practice is largely useless but I am not sure it is here. The City of Clarksville hasn’t been too Choctaw friendly and I don’t believe it will be tonight either. Kentucky Prep Gridiron Predicts: The Wildcats in a rout! 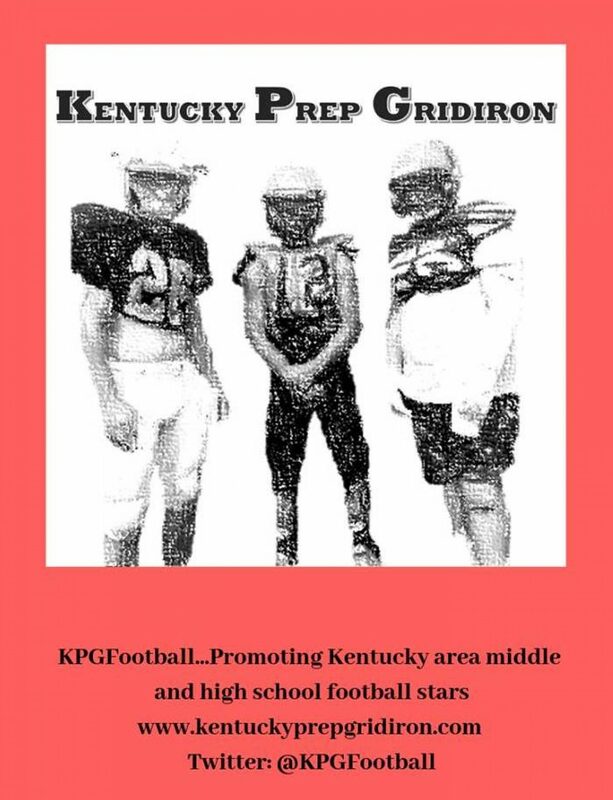 See you at the game as this is Fletcher Long reporting for Kentucky Prep Gridiron reminding you to PLAY THROUGH THE WHISTLE!